The White Dog Blog: Bwaaaaahahahahahaha ... they NAILED it! American Greetings card given to mom by a friend. Me too! Have marvellous Monday. 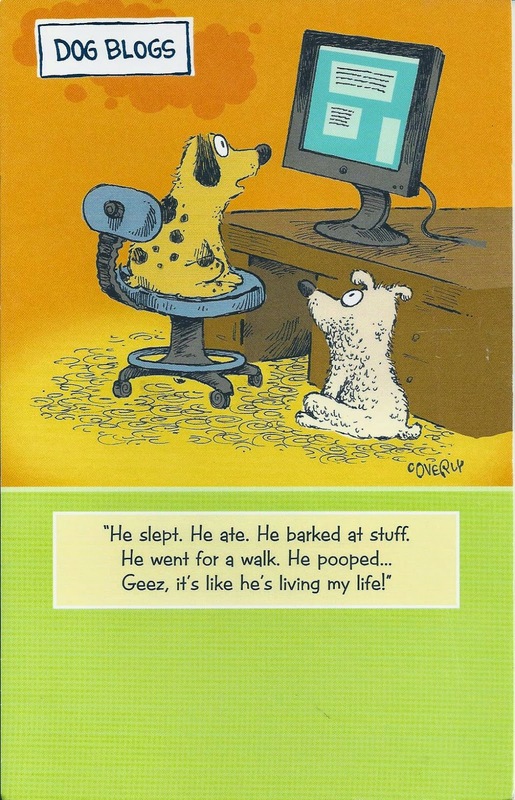 Clearly that card designer has no idea what us Blogville dogs get up to. Add a bit of bitey face and you've described our lives, too.